Last week I publish the first complete review of an Amlogic S905X device with MINI M8S II TV box review, and while the device work in a smooth and stable manner, some features did not work as expect such as HDMI audio pass-through. I’ve now had the change to compare it to another S905X with NEXBOX A95X, not to confuse with its “homonym”: NEXBOX A95X with Amlogic S905 processor. I’ve already taken pictures of the device and accessories, and checked out the hardware in the first part of the review, so today, I’ll report my finding playing with Android 6.0 firmware, Kodi video and audio capabilities, and check whether bugs and issues found on MINI M8S II are also present in the device. NEXBOX A95X is really a tiny device, so it’s no surprise that it only comes with two USB 2.0 ports, and I used one with my 1TB hard drive, and connected a USB hub to the other with 2 RF dongles for my air mouse and gamepad, as well as a USB keyboard to take screenshots. The typical 30 second boot is a little faster than on MINI M8S II, possibly thanks to faster eMMC flash, or more optimized firmware. I was also happy to see a different launcher for once. 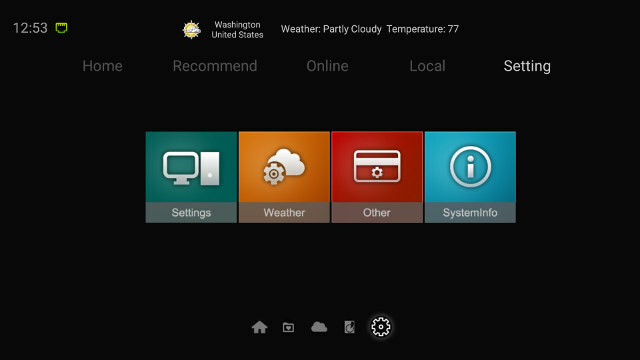 The top row of the user interface shows the current time, network connectivity status, and weather for your selected city. 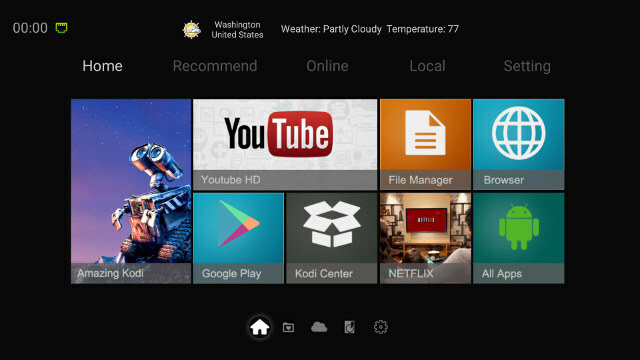 The Home screen has 8 pre-definied (and non customizable) icons for Kodi, YouTube, File Manager, Browser, Google Play, Kodi Center (add-ons installer), Netflix, and a shortcut to All Apps. The “Recommend”, “Online” and “Local” tab are folder where you can add or remove your favorite apps. 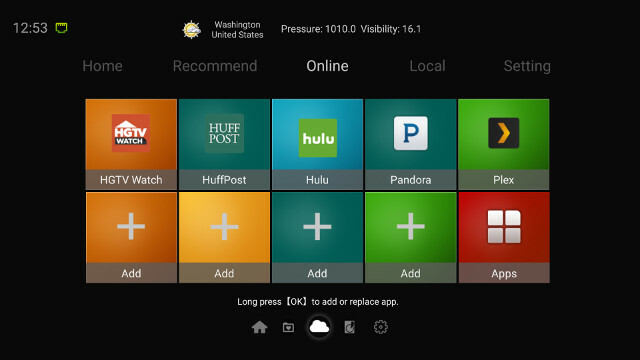 The Online tab comes with HGTV Watch, HuffPost, Hulu, Pandora, and Plex by default. SystemInfo will show a summary of the device specifications and firmware, Other will only allow you to disable/enable “touch sounds”, Weather is used to set your city, and Settings points to the usual Amlogic settings. Again it’s very similar to other box, but like on MINI M8s II, it adds the HDR (High Dynamic Range) option, and storage also shows external storage like the 4 partitions of my USB drive. HDMI-CEC is also missing, which is a problem as I can’t disable it, and the box will prevent me from turning off my Onkyo A/V receiver. The one extra options I found on NEXBOX A95X is “Power key definition” to select either “suspend and resume” or “shutdown” when pressing the power key on the remote control. I personally recommend using “Suspend and resume”, as you can also power off the device with a long press on the Power button. If you are using a USB drive, the following window should show up a few seconds after the boot is complete. That’s a little annoying since it will happen for every boot, but there’s an extra option compare to M8S II, as you can setup the hard drive as internal storage. That’s great, unless you already have data on your hard drive, as it requires it to be formatted. So I skipped that step. 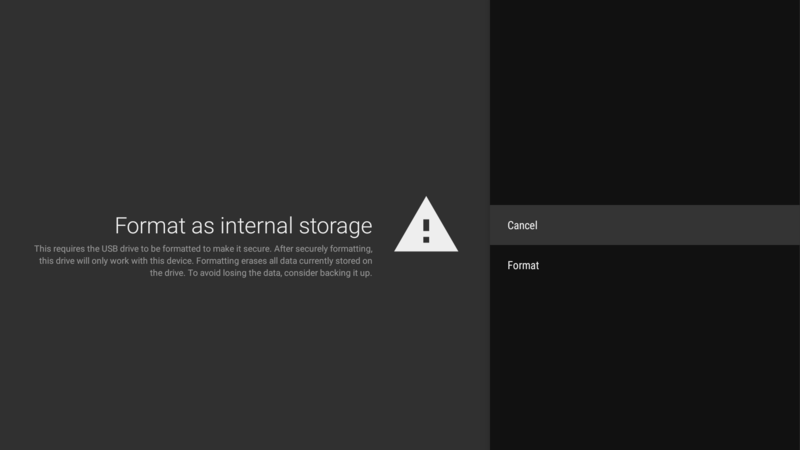 But if you are going to use that hard drive permanently with the box, then that’s a good option, as you’ll have very large storage for app and data, and I assume you won’t be shown the “USB drive connected” after each boot. So instead I setup a class 10 micro SD card as internal storage, and formatted it as shown above. 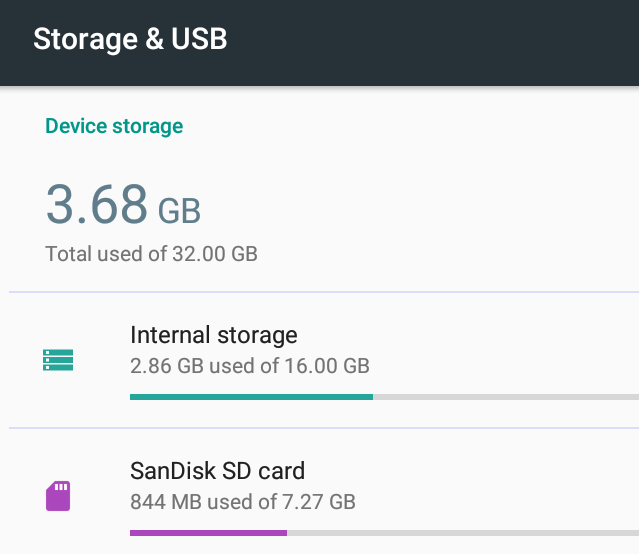 Android complained that “This USB drive appears to be slow” however, but I could carry on, and was asked whether I wanted to “Move data to SanDisk SD card”, which I accepted by clicking on “Move now”. Once this is done you’ll strangely see the device storage with a total of 32GB, instead of 16+8 = 24GB, but at least that mean available storage has been increased thanks to the added micro SD card. I understand this is a new feature of Android 6.0. The flash on NEXBOX A95X (S905X) has a 16GB capacity, at least on my model, and is partitioned as a single unified partition for app and data with around 1.41GB used after the first boot (with micro SD card used as internal storage yet). Another identical behavior between MINI M8S II and NEXBOX A95X was that HDMI output was set to 4K SMPTE (4096×2160 @ 24 Hz) by default. I set it manually to 4K 60 Hz (3840×2160) manually, but I noticed it would sometimes fall back to 1080p60 after a reboot. It’s quite easy to notice since the mouse pointer is much smaller (maybe too small) when 4K output is selected. 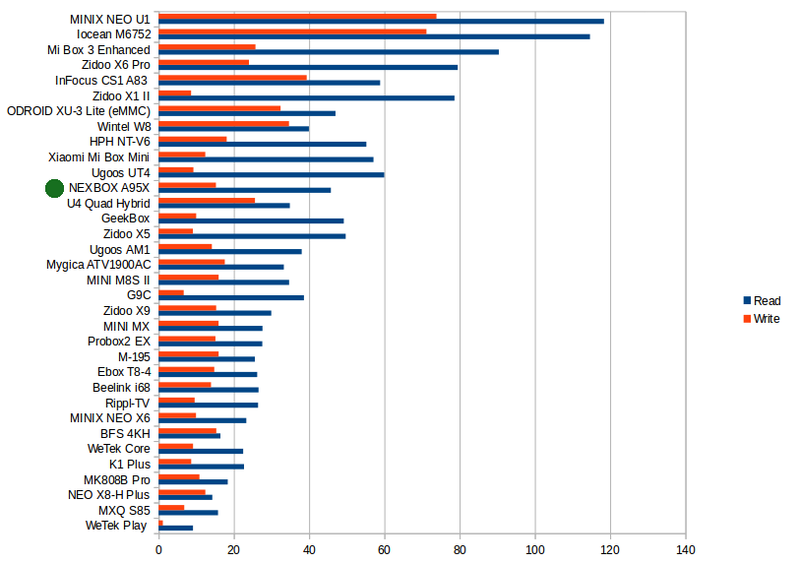 Those common issues are likely due to Amlogic SDK, so I’d expect most Amlogic S905X TV boxes to suffer from those. 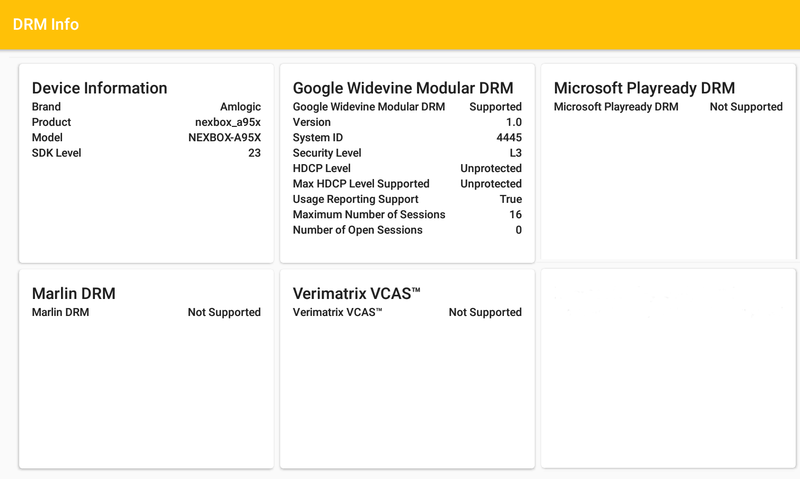 I clicked on “More settings” to enter Android 6.0 settings and access other options like Accounts, Language & input, Printing, and so on… The “About MediaBox” section reports NEXBOX-A95X running Android 6.0.1 on top of Linux 3.14.29. 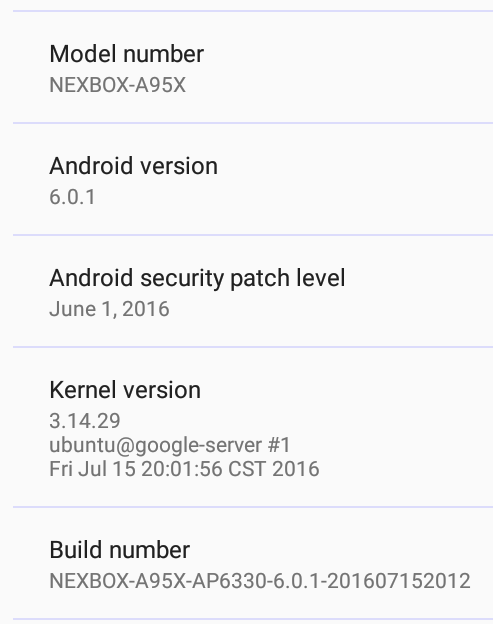 The firmware used for review is NEXBOX-A95X-AP6330-6.0.1 dated July 15th, 2016. The firmware is rooted. OTA firmware update is not supported. The included remote control has a decent range as it worked up to 8 meters (but not 10m), and the IR learning function works well as I was able to register and use the power, input selection, volume, and mute keys of my TV remote control. However, as usual MINIX NEO A2 Lite was my favorite input device since beside acting as a remote, I also use it as a mouse and keyboard, and is much more convenient to use in various parts of Android and apps. Google Play worked fairly well, except it would not install Mi Fit or Vidonn Smartband apps, possibly because of Bluetooth LE requirements. All other application needed for review could be installed from the store. I also downloaded Amazon Underground with the web browser to install the free version of Riptide GP2. It looks rather good. The only oddity is that Power off with USB hard drive consumes more than in standby, and there does not appear to be advantages (in terms of power consumption) of going into power off mode, instead of standby. Standby will also save you some time, as you don’t need to wait for 30 seconds to boot. Power off might be a little safer for your data, depending on how the firmware has been implemented. When I opened NEXBOX A95X the thermal design seemed OK, except the processor and heatsink were pointing down, instead of up, so in theory the heat could be end up being trapped inside the device. During use, the case gets a little hotter than MINI M8S, but not that much as the maximum temperature on the top and bottom of the case after Antutu 6 was respectively 45°C and 52°C max, and after 15 to 20 minutes playing Riptide GP2, the tempeatures went up to 50°C and 56°C. However, performance (e.g. frame rate) was constant during game play. My first impressions with NEBOX A95X were pretty good, with the device running a stable and responsive firmware, and the main downsides were small annoyances like the USB drive connected windows after each boot, and the device preventing me from turning off my A/V receiver. The lack of OTA firmware support with the Update & Backup app reporting “Check Failed! Check Your OTA Servier Agent” (sic.) was also a disappointment, but a common problem with cheaper devices. I can also see piracy add-ons pre-installed together with Kodi 16.x with more an more devices, and NEXBOX A95X is no exception. 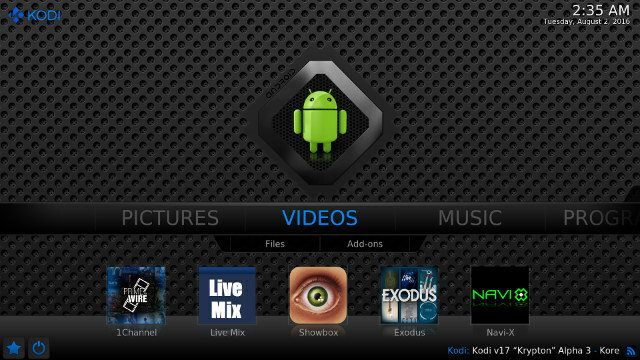 The box is using Kodi 16.1 like in M8S II, but the build date is different, so there may have been some modifications. The.Curvature.of.Earth.4K.60FPS-YT-UceRgEyfSsc.VP9.3840×2160.OPUS.160K.webm (4K VP9 @ 60 fps + opus audio) – OK most of the time, except for ~5 seconds period @ 2:08 with severe artifacts. 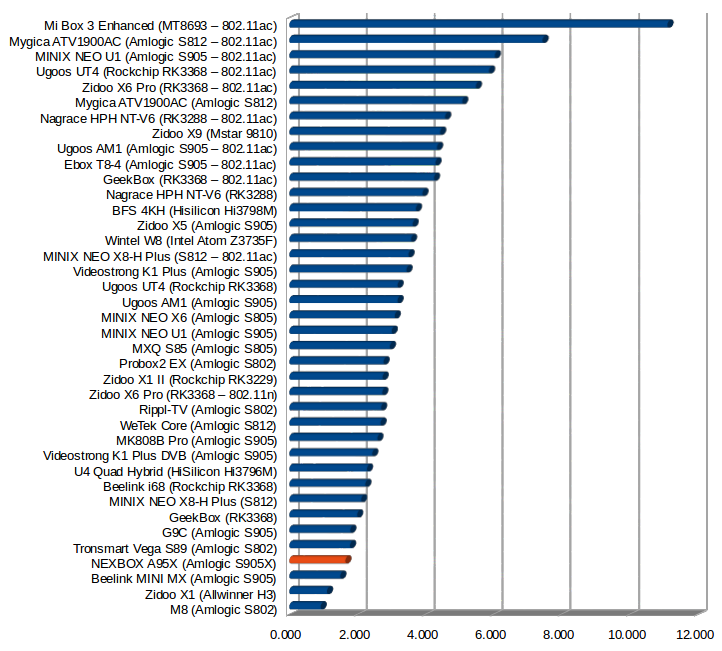 NEXBOX A95X does not suffer from poor video playback when 24 fps videos are played using 4K SMPTE (24Hz) video output, any improvement over MINI M8S II, but streaming over Ethernet may not be as good, as one 51.4 Mbps video suffered from audio cuts due to buffering. The system also completely hanged with a very high bitrate (243 Mbps) video played from the USB hard drive. The artifacts in one VP9 videos occurred at the exact same time on both devices. 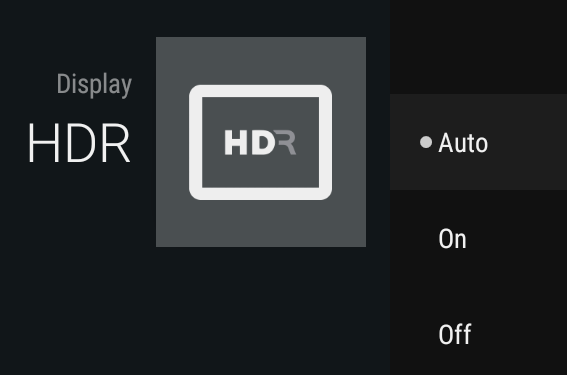 I enabled automatic frame rate switching in Android and Kodi, but sadly this does not work. Audio testing looked much more promising when I went into Kodi Audio output settings with not only AC3 and DTS options, but also TrueHD and DTS-HD options present in the settings. The results however were disappointing, so I also used HDMI audio pass-through using MX Player / MoviePlayer app too through my Onkyo AV receiver that can handle TrueHD, DTS-HD and Dolby Atmos. I also played a 2-hour H.264 1080p videos over Ethernet to test stability, and I had no problem there. NEXBOX A95X supports Widewine DRM Level 3 only. This has to be expected however. Download links to video samples used in this review can be found in the comments section of this Video/Audio sample post. I’ve tested both 802.11n and Fast Ethernet by transferring a 278MB file between SAMBA and the internal flash a few times, and averaged the results. WiFi supports both 2.4 and 5.0 GHz (no 802.11ac), the connection is stable, but the performance is rather poor with average transfer rate of around 1.6 MB/s. The same test with Ethernet shows a more standard performance of 6.7 MB/s for a Fast Ethernet interface. Bluetooth worked reasonably well, and I could transfer a few pictures after pairing NEXBOX-A95X to my Android smartphone, and get Xiaomi Mi Band 2 data after side-loading Mi Fit app. So that means Bluetooth LE is working. I could not use my Bluetooth headset, as the system kept on asking for a pin code during pairing, something my phone, and most other Android devices have never asked for that headphone. If you’ve been following my reviews of Amlogic TV boxes, you may know my expectation of getting write support on my USB hard drive are pretty low, ever since Amlogic moved to Android 5.1 SDK and the “10MB bug”. But when I realized NEXBOX A95X would actually allow me to copy files and run benchmarks on some of the partitions of my USB hard drive I felt like the second was coming, and could barely control my emotion with tears coming out of my eyes after around 10 months of hardship :). Contrary to MINI M8S II, the hard drive partitions are apparently detected as SD cards in NEXBOX A95X, so they were also listed as in A1 Bench, and I could run the benchmark on both NTFS and exFAT partitions of the driver with a very good 37 MB/s sequential read speed for both, and less impressive 6.78 MB/s & 17.66 Mb/s write speed respectively. exFAT used to have very poor performance across devices, so maybe Android 6.0 improve exFAT support a lot. The 16GB eMMC flash performance is OK with 45.8 MB/s read speed, and 15.24 MBs write speed. I’ve focused on Riptide GP2 only, playing it with Mars G01 wireless gamepad. The game was perfectly playable using default settings, but not quite as smooth as I like when settings the graphics settings to “max resolution”. I kept playing the game for 15 to 20 minutes, and performance was OK, and constant over time. Amlogic S905X is not the ideal processor for gaming, but it’s good enough for casual gaming. 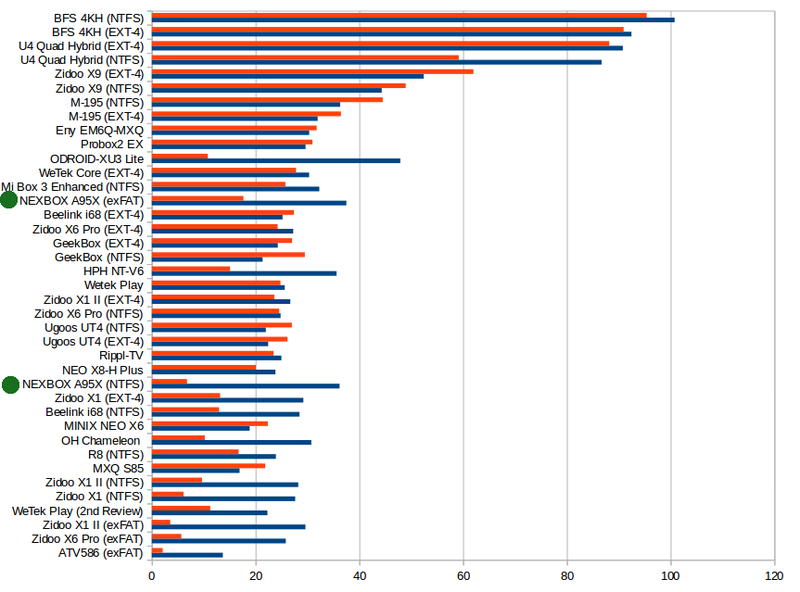 Before running running benchmark, let’s have a look at the info reported by CPU-Z. Amlogic S905X processor is again confirmed as a quad core Cortex A53 processor running between 100 MHz and 2.02 GHz, and with an ARM Mali-450MP GPU. Internal storage partition capacity is 11.87GB, total RAM 1775 MB, and the frame buffer resolution is set to 1920×1080. Despite having the exact same CPU frequencies, we’ve already seen in our Amlogic S905 vs S905x benchmarks comparison that Amlogic S905X did not performance quite as well. 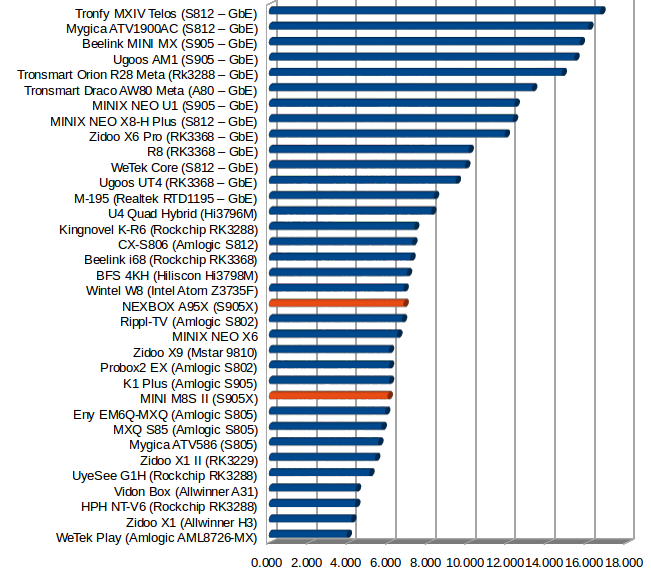 But with NEXBOX A95X the results are even lower possibly due to its non-optimal thermal design as previously discussed. The device achieved 28,519 points in Antutu 6.x, against 33,553 for MINI M8S II. 1,885 points for MINI M8S II. 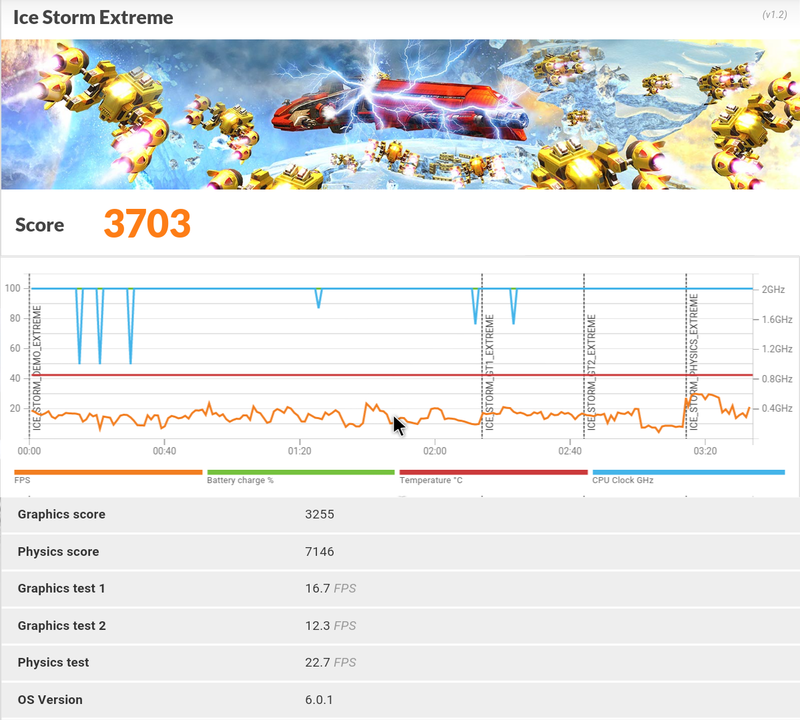 3DMark Ice Storm Extreme score @ 3,703 points is also lower despite the CPU running at 2.0 GHz for most of the benchmark during. MINI M8S II achieved 4,183 points in that same test. So the system is slower, but it’s hard to pinpoint what happened. NEXBOX A95X (S905X) firmware was stable and felt fast, although benchmarkls indicate a lower performance compared to competitors. Video playback in Kodi 16.1 for 10-bit and 8-bit H.265, H.264, and VP9 videos up to 4K @ 60 fps was also good, and I like some details like the ability to set the power button behavior, and setup external storage (micro SD or USB) as internal storage. Proper power handling (standby/power off) and low power consumption in all modes. Internal storage expansion via external storage devices (micro SD, USB flash drive, USB hard drive). Lack of notification and status bar, leading to some inconvenience after download or Bluetooth transfers for example. I’d like to thank NEXBOX for sending the device for review, and resellers and distributions can contact the company via their website to purchase the box in quantities. The version of NEXBOX A95X featured in this review (Amlogic S905X, 2GB RAM, 16GB flash) is sold for $42.99 on GearBest and $51.99 on Banggood. Both sites also sell cheaper version with 2GB/8GB ($38.2) and 1GB/8GB ($33), and GeekBuying too. 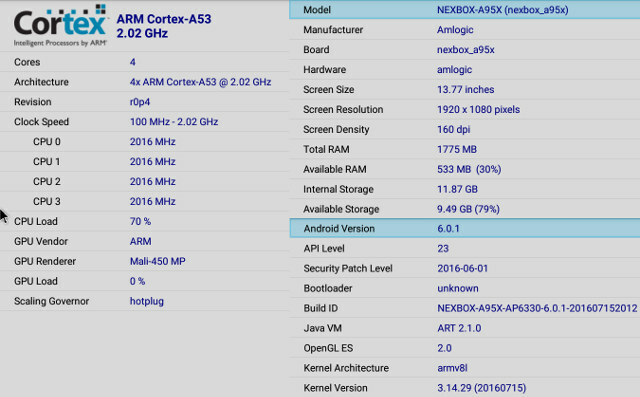 However, if you don’t think you need Android 6.0 features, VP9 and/or HDR, NEXBOX A95X model with Amlogic S905 processor might be a better option, and sells for around $25 with 1GB RAM. Neither 0000 nor 1234 worked. In that case, call 9999 🙂 If it’s none of the standard ones, the device’s manual probably has it. Still waiting for the TX5 Pro review! I’ve been told the firmware is not very good with Google Play not working that well, and the language falling back to Chinese after each reboot. What about X96? I wonder which group is manufacturing those. 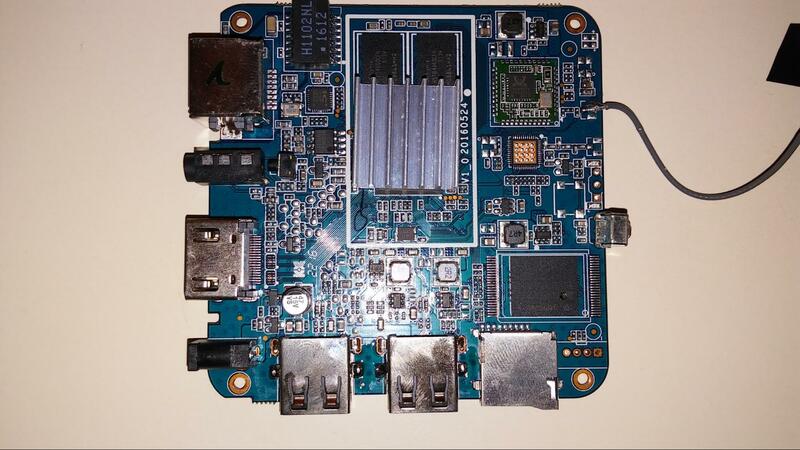 I’m having problems with the latest A95X 2GB / 16 GB TV Box related to Root acknowledge. No any applications, will recognize the device as being rooted, (except Root checker applications). Any help on how to re-root this device with a good root patch like “SUPERSU” ? on this A95X, (A905X), device. Waiting for your trusty advice on how to successful root this device with an working one. After reboot changes language to Chinese or Japanese!y? @Carlos Same situation with the 2GB/8GB version as well. Installed terminal and appears ADB not even installed, will not know until I pickup a USB female to female and try as ADB wifi doesn’t work. What I don’t understand is the have been on market for a couple of months and know one has hacked these things yet. It’s not a bad device, but would like full access to backup firmware just in case of the “What IF” factor. In your table it says that Kodi has problems with the HDMI pass-through, but that’s not what you say here. 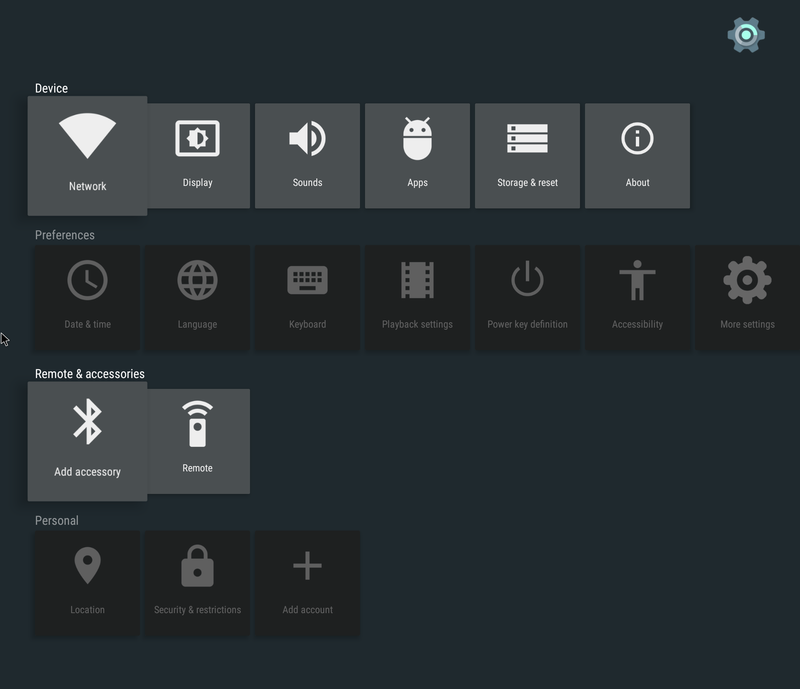 Is Kodi the problem or all other apps? Am setting-up ethernet via MoCa coax cable to access points with Actiontec ECB 6200 adapters. Will this improve my wi-fi performance or am I stuck with your tests results? Just bought 2 Nexbox A95X 2Gb,16Gb models. Will mostly use to cut cable & install Kodi aps for our TV watching. Not into games so what TV box would you recommend without breaking the bank? I can’t see discrepancies between the two statements. HDMI audio pass-through is not working well. WiFi performance will depend on your setup too. I can’t really recommend Amlogic S905X TV boxes, as Amlogic S905 models will work better, at a cheaper price. in apps other than Kodi means that there are problems in all other apps rather than Kodi? But the table says that Kodi has problems. Next question, what about the SPDIF output, did you test it? I’m confused… Is it the same box than the nexbox A5 s905x (tested in june here http://www.cnx-software.com/2016/06/07/unboxing-and-teardown-of-nexbox-a5-tv-box-powered-by-amlogic-s905x-processor/ ) ?? Else what are the diferences? A95X is much small than A5. I have not tested A5 actually, because the firmware was not ready at the time, and got A95X in the meantime. A95x not missing. Av port, use toothpick or small jewelers screwdriver. About recovery micro switch, can you be more specific ? It is located at the end of the AV hole or is located around the hole ? A small draw would help ! 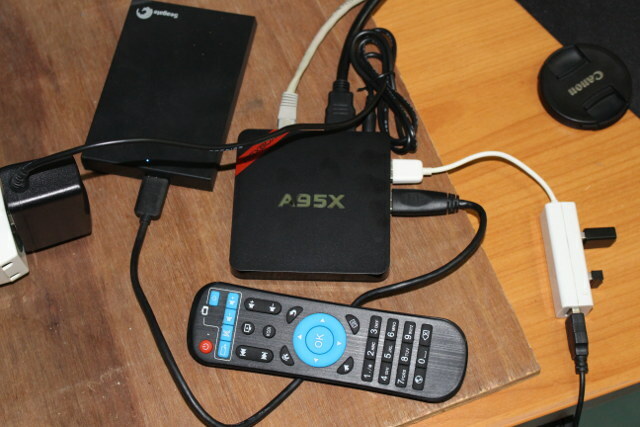 I can’t see any recovery button in NEXBOX A95X, when I check the teardown photos @ http://www.cnx-software.com/2016/07/22/nexbox-a95x-s905x-android-tv-box-review-part-1-unboxing-and-teardown/. 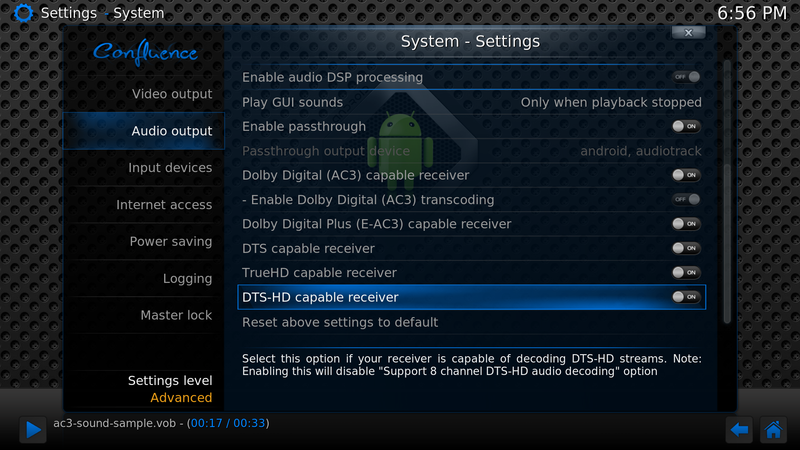 as also some Root Flash that really works with this TV box. (the Root in stock ROM doesn’t work at all !). Any help will be welcome ! The microswitch is not visible. It is hidden inside av port. To press, you will need something small enough to go into port. If trying to get to recovery, install TWRP,good luck. You will need modded recovery to do that, TWRP does not have one for that device. Good luck getting firmware from manufacturer as I been down the same path that you are trying and mine is/was bricked. i can’t see any switch, are you mistaking with A95X with s905 (non x)? There is a vertical mounted microswitch behind avport, but not anymore in the s905x one. Here is the link on finding the switch, look at opt #1 “old school method”. 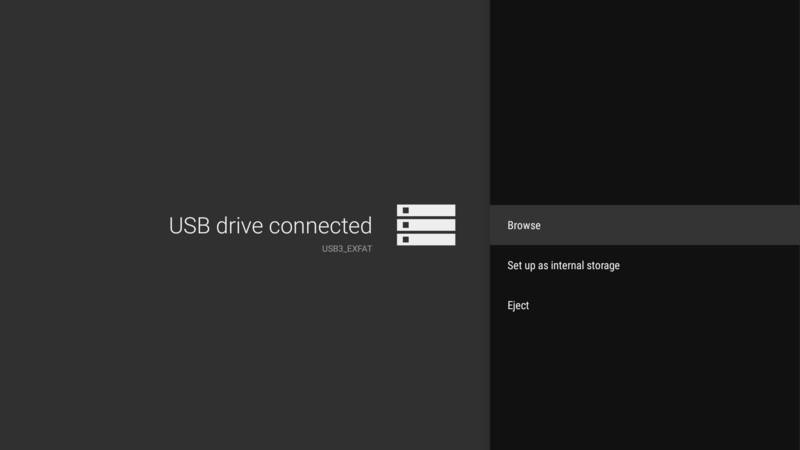 http://androidpcreview.com/how-to-use-the-amlogic-usb-burning-tool-to-manually-update-firmware/3749/. Another method of getting to recovery if your system is up, install either app quick reboot or power menu. I can’t find any where that shows maximum capacity or fastest supported class of microSD cards! There doesn’t seem to be a website for customer support to send e-mails for these type of questions! If you could supply answers to these questions I would appreciate a response. 1) Manufacture website or phone # for customer support. 2) Largest size & class of microSD supported. It appears that the manufacture sent you the unit to test so I thought that you would know how to get ahold of them? I have seen others needing same info! Are you referring to the A95X, (s905x) TV Box ? Or are you referring to the A95X (s905) TV box ? Does the TV you connect to have to be HDCP compatible to work? I have just purchased a Soniq 4K tv which doesnt seem to be when you plug a HDCp2.2 device into it. I just get a blank screen when I plug other 4k Devices into it such as the Samsung 4K UHD Bluray player. You can find the string “manage the subscriptions of this post” under the comment box in order to unsubscribe from the comments. Most Chinese TV boxes don’t have an HDCP 2.2 license, so I don’t expect any issues if you don’t have an HDCP compatible TV. The link to the manufacturer is already in the review. Hope CNX does not mind me mentioning them, but if you are struggling with recovery etc have heard of, tried the http://www.freaktab.com forums? They are a handy place to learn, read and request help. Modaco is also a good forum, and there I found good material but only for the TV Box previous version, (s905). Thank you so much for the tip. I tried to update NEXBOX A5 today and it took me almost 2 hours. 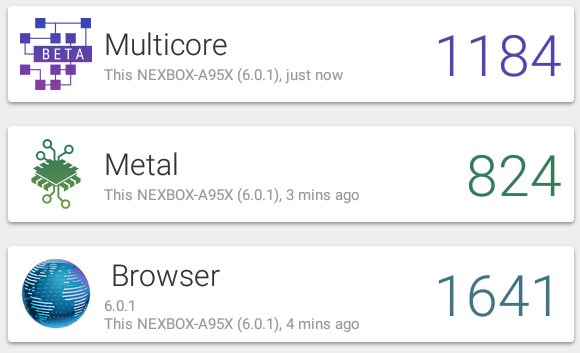 Shame on NEXBOX for provided only crappy update methods for their devices! Can someone extract and upload the launcher please? Would be grateful for that. Thanks. Have you been to Freaktab.com forums? If no help here try on there. You get a lot of software updates and software modders hanging around on there. No guarantee but might help. Yes, I left a message there also. In the meantime I tried to extract the latest IMG, and found Launcher2.apk (unsure if it is the one I’m looking for), but I was not able to install the apk on my device. Maybe I did something wrong, that’s why I requested help from more experienced ones. Anyway, thanks for the idea. Have you enable unknown sources in settings of your box? Have you installed security software or virus app which is blocking app? Do you have or need superuser. Unknown sources is enabled, no security software installed, device is not rooted. I got the “parse error” when I tried to install the apk. Mine is running 5.1.1, maybe the launcher is not compatible with Lollipop. Thanks for your help. Whats the largest external hard drive I can connect to most of these Android boxes? Or media players ? There should not be a size limit beyond the file system limitation, meaning you can pretty much use any USB hard drive. What you can’t always do is connect multiple hard drives due to power supply limitations. Hi guys, I need help! I bought this box, installed apps like Xfinity To Go and Sling but the playback I’m getting is very low resolution, surely under 720p. I tried over wifi, ethernet and I get the same bad results. I have a firestick where the same apps, over wifi, play perfectly, 1080p, I’ve tried every display setting on the Neobox but I’m never able to improve the image, what am I doing wrong!? Is the Neobox this bad!? Hello everybody, I’ve a Nexbox A95X (1Gb/8Gb), I’m trying to install Android 6.0 but I’m not able to understand the recovery mode on this device. Someone could please help me? Sorry for my english and thanks in advance! It’s the box. this box having problem. I have use kodi in PC computer and does passthrough audio. Nvidia Shield also pass thorugh audio using kodi. Also if you play 24bit 192 khz audio using this box through hdmi, then this box down sample the 192khz to 96khz.